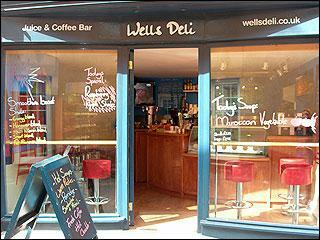 Welcome to Wells Deli, Wells-next-the-Sea, United Kingdom. 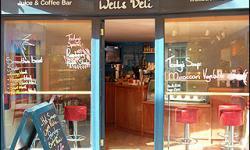 Wells Deli is on the North Norfolk Coast. 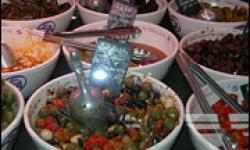 We stock a good and wide range of local and continental Delights. 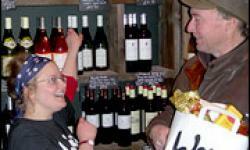 Locally, try Mrs Temple's selection of cheeses or Ellie Betts' selection from Ferndale Farm, Wells-next-the-Sea. At Wells Deli we stock local jams, chutneys and honey where the bees holiday on the saltwater marshes! And, from not so far away, Lakenham creamery ice cream, simply the best we know of, and biscuits from whalebone bakery, simply Delicious. Our savoury pies, pastys and tarts, our huge range of cakes and sweet pies, and the most Delicious organic loaves anywhere are from Metfield Bakery in Dereham; really keen master bakers. We have a daily bread selection supplied by Mr Groom of Burnham Market... and we employ Krusty loaf of Hunstanton to supply our famous buns. Holkham Estate provides the most sensational venison. From burgers and steaks to Delicate carpacio, thanks to them and others we are able to offer local. low-carbon, quality produce. And don't forget sandwiches and paninis, great coffee, drinks and all sorts of lunchtime or snack-time treats to go, either here or from our new Juice and Coffee Bar on Staithe Street. We try hard to keep up with new trends and are constantly on the look out for exciting new products. 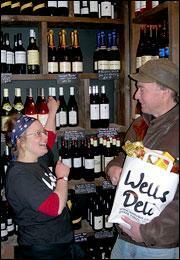 Feel at ease to ask advice of the team at the Wells Deli.